Our educational materials and lesson plans are listed by subject to make lesson planning simple. There are different levels of resources for different age groups and abilities, together with short film clips and hand out sheets. 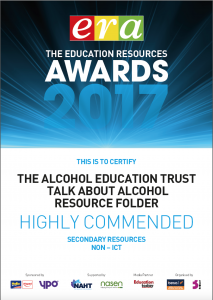 Under the Resources sub-menu, you will find all you need to know to teach effectively: Alcohol and its effects, Alcohol and the law, Staying safe, Units and guidelines. We have also structured our resources by age group (See the Resources by Year Group sub-menu). 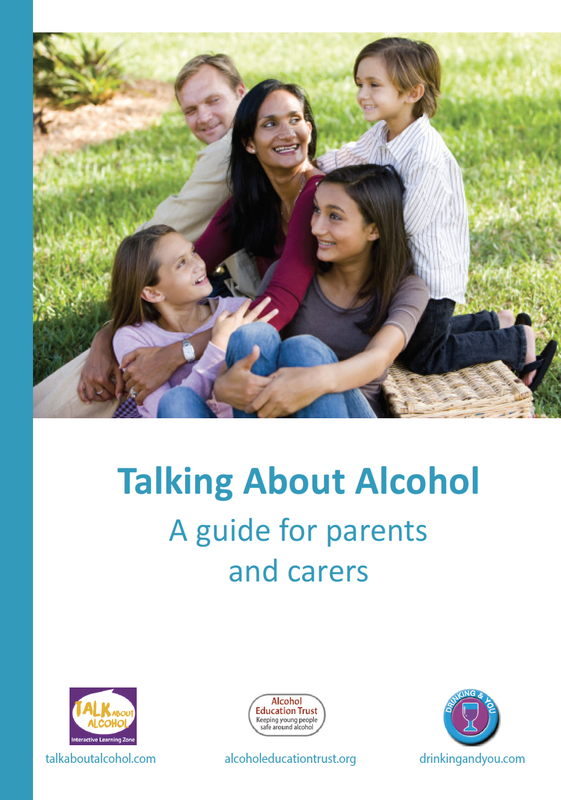 If you would like to order a hard copy of our 100 page teacher workbook (normally free for schools), our guide for parents or older teenagers or join our newsletter mailing, please email: kate@alcoholeducationtrust.org or download it here. For the Scotland version download it here. Download our parent leaflet or order hard copies from our store. 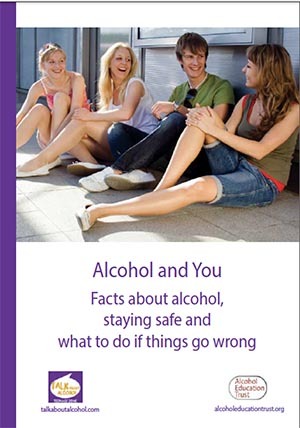 Download our advice for older teenagers or order hard copies from our store. Our brand new full education pack, includes The ‘Talk about Alcohol’ 100 page teacher workbook, teacher guidance and lesson plans for children with SEN, a DVD of BAFTA award winning ‘Just a Few Drinks’ 4 short films, full access to the SEN area of our website with lesson plans, PowerPoints, 60 laminated discussion cards, pictures, scenarios and a quiz for use in class. The training showcases the 6 evaluated lessons followed by SEN specific activities. To order visit our store.